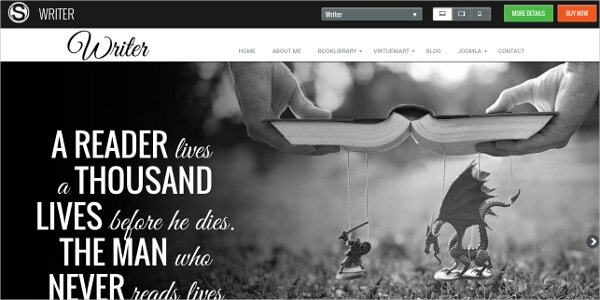 Ideally created for authors and writers, the Joomla templates for Authors are of high quality, clean and simple in their layout and equally easy and convenient to browse and read. A dedicated personal details section enables the author to put up a profile for himself/herself with ease. These templates look extremely streamlined and modern and are packed with high resolution images, with a whole set of attractive features and options for an ultimate user and viewer experience. You May also visit Writers Joomla Templates. If you wish to build online presence on the Joomla platform by setting up a website to sell your works, then look no further than the author Joomla templates. Not only do they look impressively beautiful and streamlined, they usually remain packed with plenty of attractive features and options. 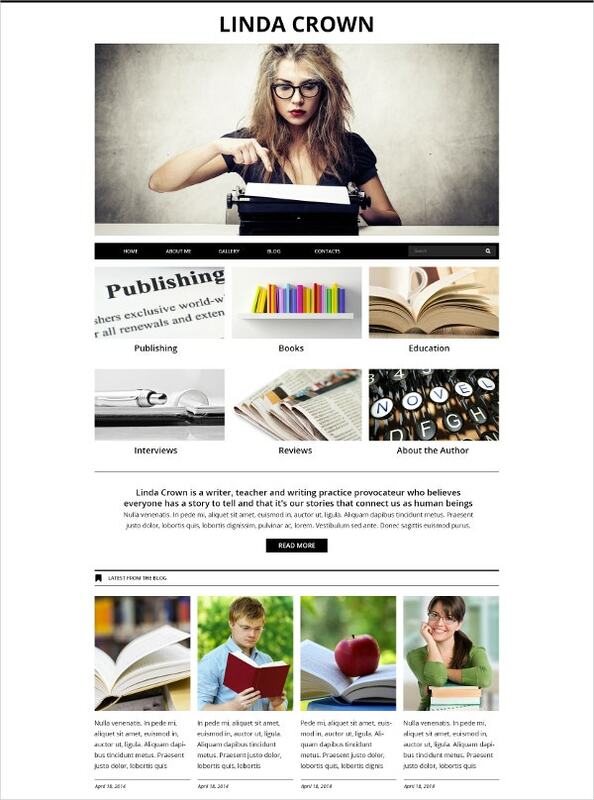 You May also visit Best Authors WordPress Templates. 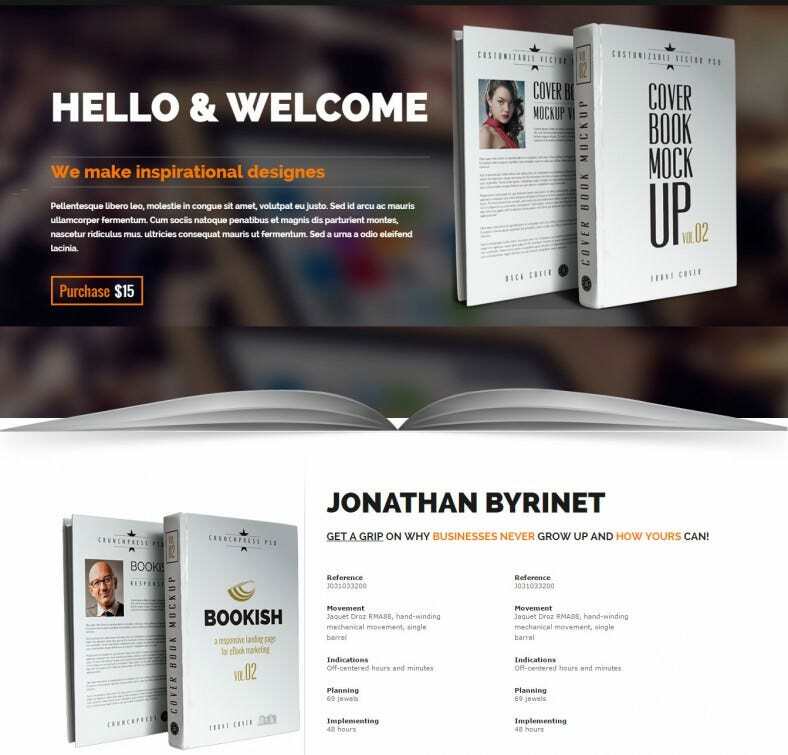 The Responsive Author Joomla Template can be used by a literary blogger to talk about the latest released books and provide a review and also provide a sneak peak of the upcoming books to be released. The responsive layout and the slider option on the homepage makes for a striking design and the numerous color options enable the blogger to use themes which he finds most striking. 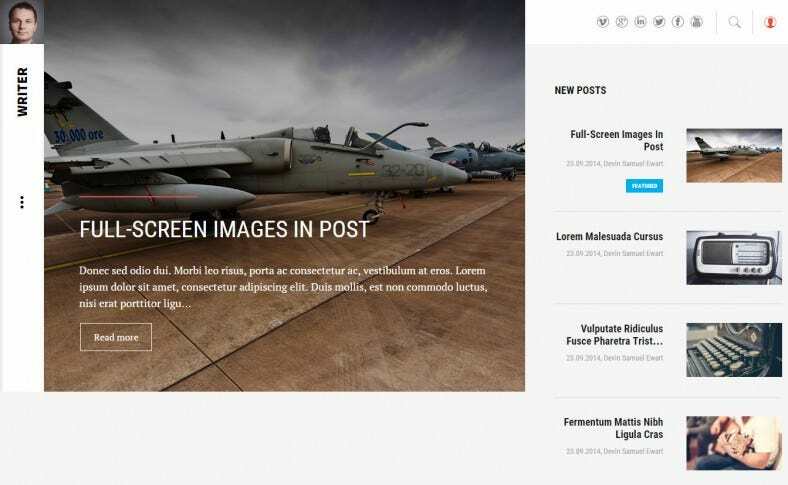 The carefully designed web pages of Author Writer Responsive Joomla Template have been created for the bloggers and authors who intend to create their own portfolio on the web. With a built in online library, suitable for students of schools and libraries, and a K2 enabled three-column blog page, this template is a power packer! 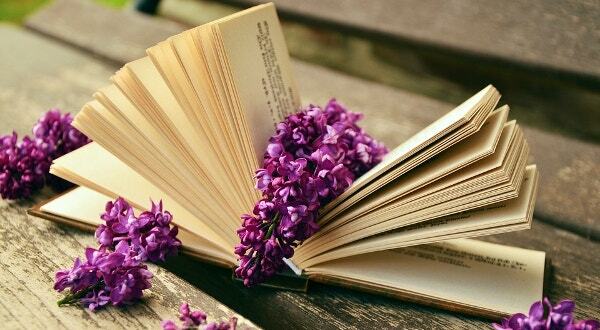 Grow your business by getting your latest book noticed! 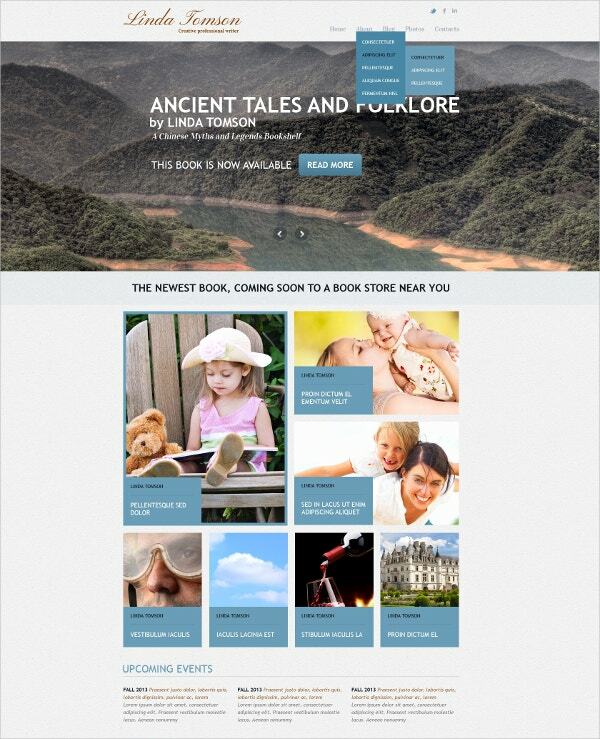 This theme is ideal for authors, ebook writers and marketers who need a catchy responsive design to showcase their creations. This publishing template combines functionality with style. Specially designed for the writers, journalists and authors, the Responsive Author Joomla Template is equipped with NSP providing article highlights and a responsive and dynamic platform for convenience in viewing from any device. What’s more? You can design your articles whichever way you like. 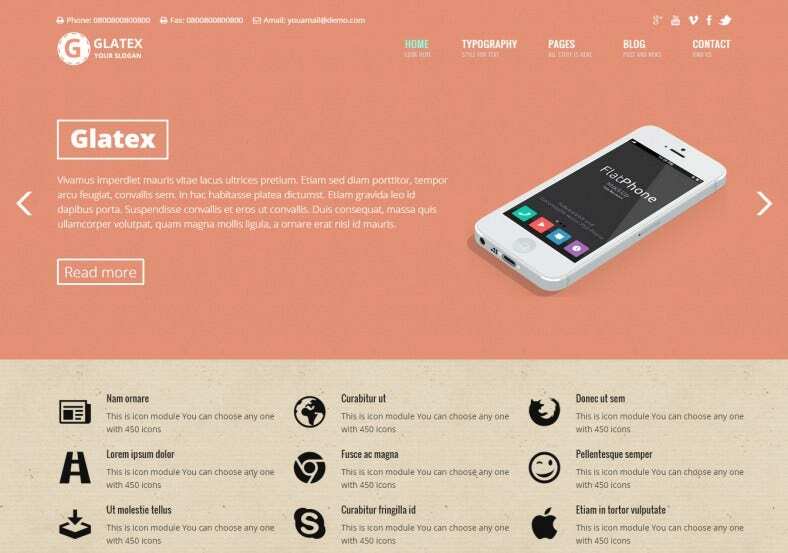 Glatex is made in a neat and compact style, using the 960 grid system based on the bootstrap and developed on the latest version of joomla. 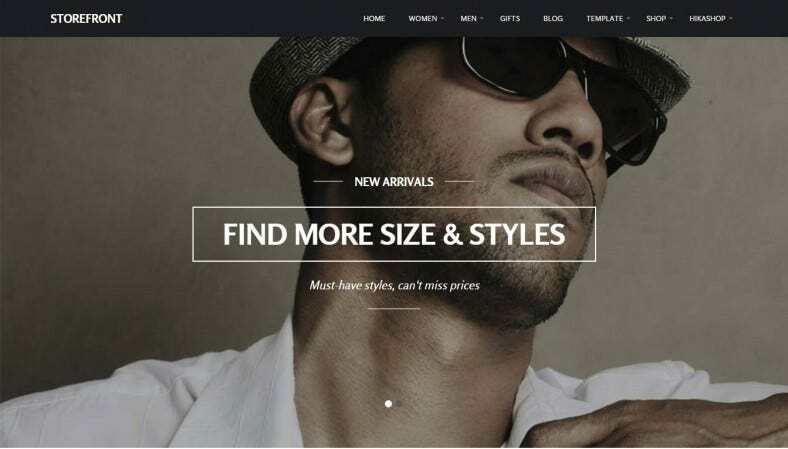 This template has been created using Gantry Framework, 960 Grid system, ZOO component and a comfortable slider. The installation process will take less than two minutes. The author templates for Joomla support easy configuration of the different module positions along with several other selected extensions.